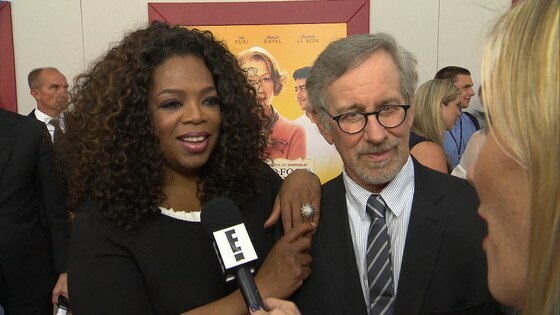 Yes, even Oprah Winfrey cheats on her diet. But, during a call for Weight Watchers members Wednesday, Winfrey said the temptation to stray from the plan has lessened over time. During a recent dinner in Atlanta, for example, her friends order fried catfish, fried chicken and macaroni and cheese. "But I just had a little bite!" she recalled. "It was a decision that I was going to not use this food as a way to reward myself." Winfrey, who's lost upwards of 26 lbs. since becoming a Weight Watchers spokesperson last summer, does allow for a few indulgences. "About 4 o'clock I always feel like I want something to crunch. I really like salty and savory things, and so for me it's a Snyder's pretzel—that hard crunchy pretzel. It's 3 points, but oh my gosh!" she exclaimed. "I take my time with it. I love it." For the first time in her life, Winfrey said she has found balance in her diet. "The other night I'm out, and I have a couple of spoonfuls of something I normally wouldn't if I was really on point that day, but it's a couple of spoonfuls and not the whole bowl," she said. "And it's OK because tomorrow is another day, so then I would just pull back on what I was eating the next day, and balance the night before. You don't have to feel like, 'Oh, I shouldn't have eaten that biscuit!'" "Yesterday, I knew I was going to be having General Tso's chicken for dinner," she added, "so I did an extra 30 minutes of exercise and then I walked the dogs around a couple of more times." Is Oprah or Stedman the Chef of the House? After trying a number of diets in the '80s, '90s and '00s, Winfrey finally feels in control of her health. "I am really pleased with the way I am creating a sense of balance and accountability for myself with this program. It's not something I feel like I'm on or I'm off. I just feel like, 'Wow it took me this long to make the shift,' but I really am happy that I've actually made it," she said, adding, "I don't feel like I'm on a diet that I'm ever going to go off of again. I feel like I'll be counting points for the rest of my life." Thanks to the Beyond the Scale program, she said, "I genuinely feel that it's been easier this time than the other 3,000 times I've gone on a diet because I don't even feel like it is a diet. I just feel like, 'OK, my life has changed.' It's totally clicked. I had to get to be 62 to figure it out! It just is like moving into another way of being."